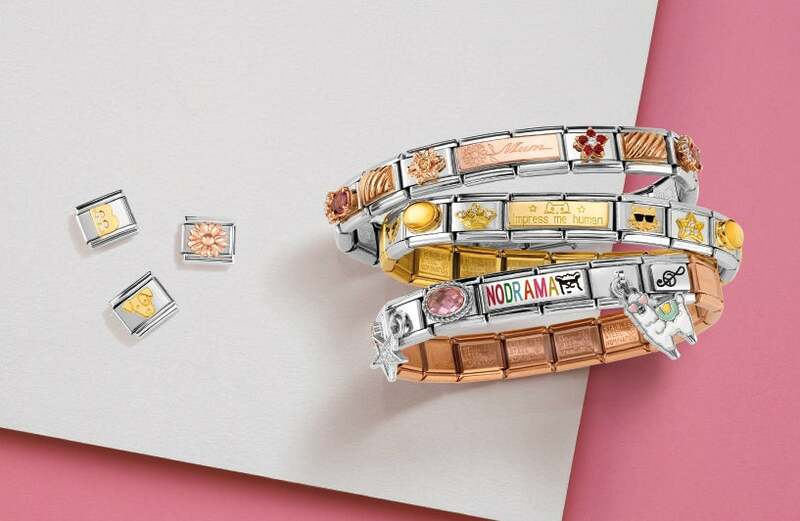 Mark the blessing of a family with the My Family Children Charm. Designed with two small hearts, detailed with baby girl pink and boy blue cubic zirconia, with the word "children" written along the bottom, with a stainless steel base topped with silver, all completed with a polished to perfection finish. https://www.johngreed.com/nomination-my-family-children-classic-charm 128031 My Family Children Classic Charm https://www.johngreed.com/media/catalog/product/n/c/nc2991_0_2.jpg 27 27 GBP InStock /Women /Women/Gifts/Occasions/New Baby & Christening Gifts /Women/Gifts/Occasions/Mother's Day Gifts /Women/Charms /Women/Brands/Nomination /Women/Brands/Nomination/Nomination Charms /Women/Silver Jewellery /Women/Gifts /Women/Gifts/Occasions /Women/Brands /Mother's Day /Mother's Day/Messages /Women/Women's Events /Women/Women's Events/Spring Edit Mark the blessing of a family with the My Family Children Charm. Designed with two small hearts, detailed with baby girl pink and boy blue cubic zirconia, with the word "children" written along the bottom, with a stainless steel base topped with silver, all completed with a polished to perfection finish.